If you want to read a good romance this is it! I just finished this book and I thought I would honour the writer by recommending it to other readers. Intense is the core of this story. I liked the intensity and the build up. I’m not going to delve into details because I hate spoilers myself, but if you want to read a good romance this is it! ...The author's writing style is wonderful and I really felt like the characters were well thought out and had the depth that makes them believable. They also were both flawed, which is always one of my favorite traits of a good book. I would definetly recommend a buy. My first Levig and wow was it a powerful one. These characters have a depth and complexity that is unusual in this genre. They both have demons to face and let go of. In spite of these, they are able to connect in a believable way. I thank NetGalley and BSB for the opportunity to review this book. I will definitely look for this author's future releases. I was so very impressed by A Heart to Call Home. This slow-burn novel was engaging from start to finish. The characters, the story, the writing - everything just worked together in the most beautiful way, and I was left reeling by the end of the novel. 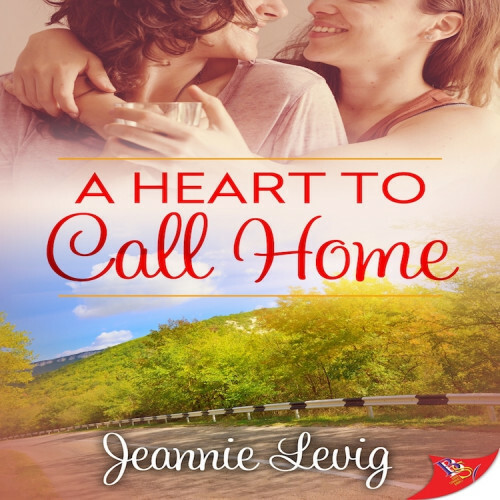 A Heart to Call Home is a story about two women who are still dealing with a tragic event that has shaped their lives for the past 30 years. As the plot comes together, and you understand what the tragic event was, you can't help but be amazed at what Levig managed to pull off. The romance is hate to love - my favourite trope ever - and add to that a tragic backstory, and you'll be enthralled, especially as the two women become closer and bond through their trauma. Both of the characters - Dakota and Jessie - are in their late forties and are teachers. Jessie is an English teacher and Dakota the gym teacher/coach. I really enjoyed the school scenes, particularly the way Jessie really cared about her students and tried to help them, especially Ian. The small town dynamics were also really interesting too. I really didn't see the ending coming, as well as the final revelation, but I found it very satisfying, especially as it was alluded to many times throughout the book. Definitely pick this book up as soon as you get the chance! You won't regret it.